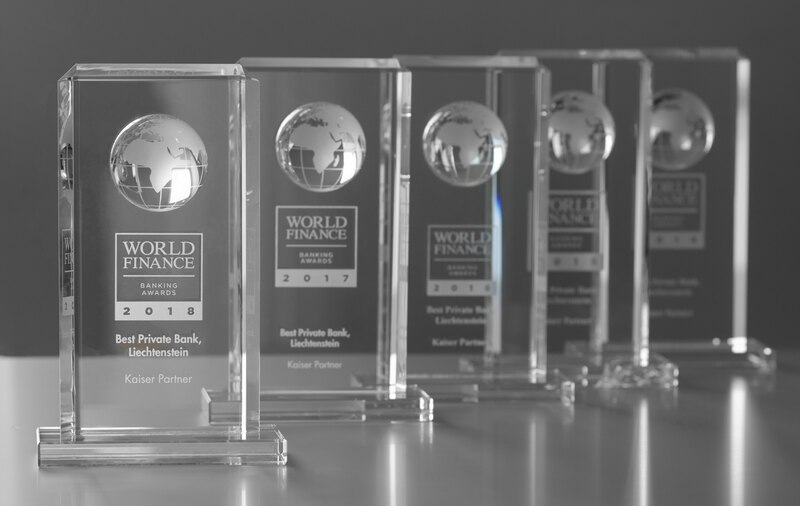 Kaiser Partner was recently named best private bank in Liechtenstein at the World Finance Banking Awards 2018, the fifth year in a row that the Bank has received the accolade. In a press release accompanying this year’s awards, the prestigious British World Finance magazine lauded the winners for having “held their nerve” in uncertain times. All the institutions were also praised for the work currently being carried out on new tools to ensure they are well equipped for the future both near and long-term. “We are particularly delighted to receive this award again as it shows the progress we have made in terms of development at Kaiser Partner over the last few years is being honored. Our aim is to ensure we remain a reliable partner and adviser for our clients both now and in the future. That’s why we are also working on digital solutions that will offer genuine added value to our clients,” explained Christian Reich, Head of the Executive Committee of Kaiser Partner Privatbank AG. Meanwhile, the Bank’s multi-client family office enjoyed success at the World Finance Wealth Management Awards 2018, receiving special mention in the Best Wealth Management Providers category as the best multi-client family office in Liechtenstein.